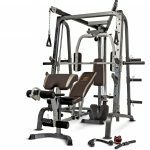 Specs The Bowflex PR1000 Home Gym is 84” L x 38” W x 81” H. The minimum workout area is 100″ x 78″. 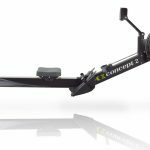 According to Bowflex, the gym can support a maximum user weight of 300 pounds. The maximum resistance that can generated is 210 pounds and shipping weight is 131 lbs. 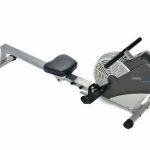 Features It sports 4″ upholstered roller cushions for leg extension and leg curl, a Horizontal bench press, hand grips for lat pull downs and a rowing machine. It can be folded for easy storage. On the machine itself there are workout placard displays with workout descriptions for easy reference, so you can make sure you’re doing the exercise properly. 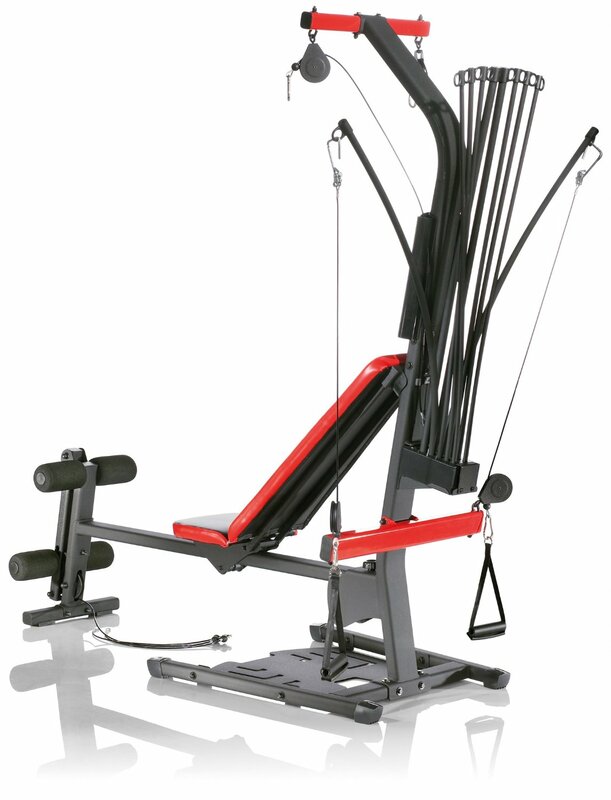 There are over 30 exercises that can be performed on this machine. The PR1000 utilizes power rods, which provide resistance, or weight. You can hook anywhere from 1 to 4 or all of your Power Rod units to the cable pulley system which enables you to go from 5 lbs up to 210 pounds of resistance. Your choice. The Good You can perform a wide variety of exercises at least 30 of them. which includes both upper and lower body. It’s cheap and easy on your pocket. The not so good You can only go up to 210 lbs. If you’re an advance lifter accustomed to some serious poundage, this is not for you. It is more suited for beginner to intermediate level lifters. There is no instructional video to explain workouts, or how to use. 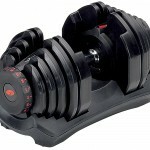 Final thoughts The Bowflex PR1000 Home Gym is a very budget friendly versatile home gym. If you’re a beginner or even intermediate lifter, this is a good setup for you. If you’re advanced then not so much, unless you’re interested in doing repetitions. It doesn’t have the best warranty, but not too many people seem to have a problem with that. Lastly, there is no instructional video, but you can go on Youtube and find lots of demos and workouts. All in all not a bad buy if you’re not into serious weightlifting. 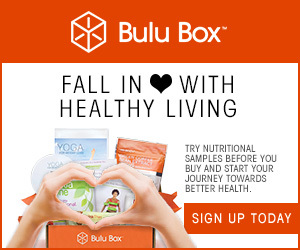 If you’re interested you can check it out here . Really good detailed information here. I quite like home gyms. They are quite involved pieces of equipment and I imaging you can do a bunch of different exercises on them. These look like US prices and based in US which can be a shame for us in Australia. I do think our prices are alot dearer than these! But anyway great info on them all. Great site and an in dept review – thanks for creating sharing it with us really appreciated. I really like this home gym as I can perform a lot of exercises with it, and with my free weights, barbells and dumb bells I’ll have a pretty much complete home gym in my garage and the price – actually cheaper and more convenient than what I pay for my local gym. No problem. If it’s in your budget, go for it.